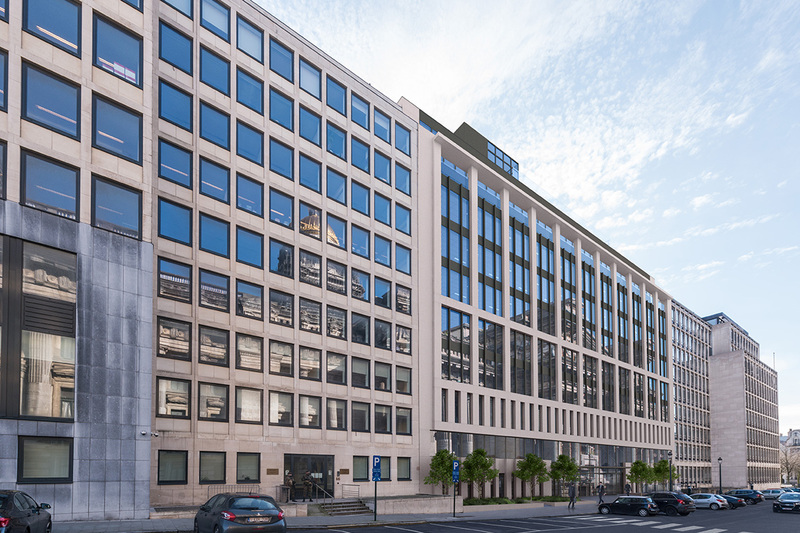 The project involves reconstructing a building originally designed for a user related to construction, the Brussels water utility Compagnie Intercommunale Bruxelloise des Eaux. With the morphology of the existing building and the load-bearing properties of its structures putting limits on its refurbishment, the decision was taken to reconstruct the building to current standards: passive, modular, flexible, full of light and with top environmental performance. The main facade is designed soberly in architectural concrete formwork, while the metal doors and windows are classical yet contemporary. 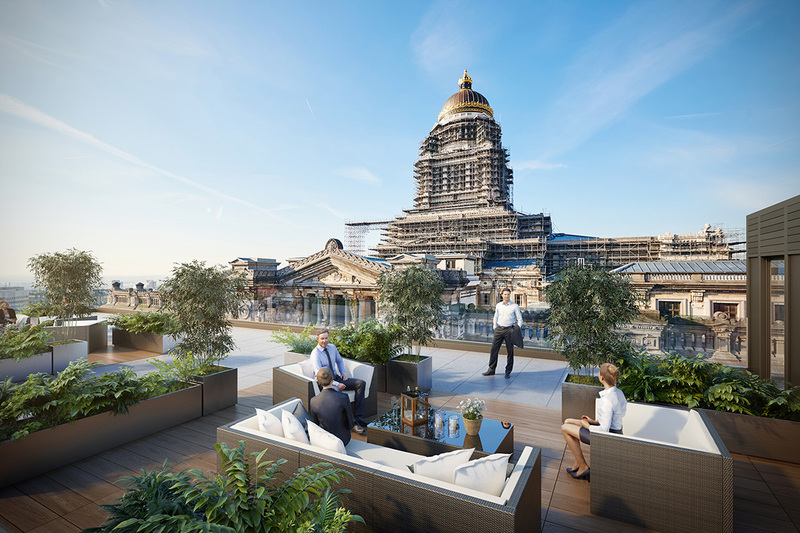 Looking out onto the Rue des Six Aunes, the facades are being relocated to form the two wings of a U, while a connecting building is set back, creating a courtyard that will be planted. 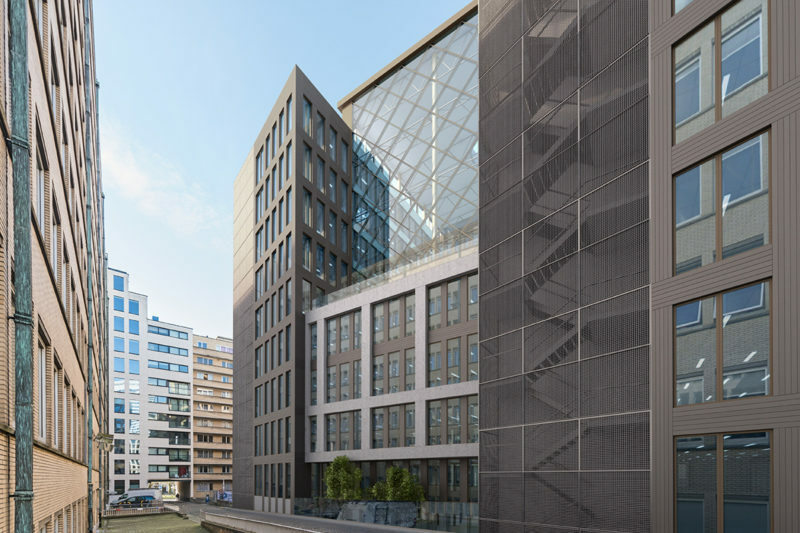 Lifts take people up to the roof which is designed as a vast terrace offering spectacular views over the Brussels Palais de Justice (court building) and the “Lower City”. 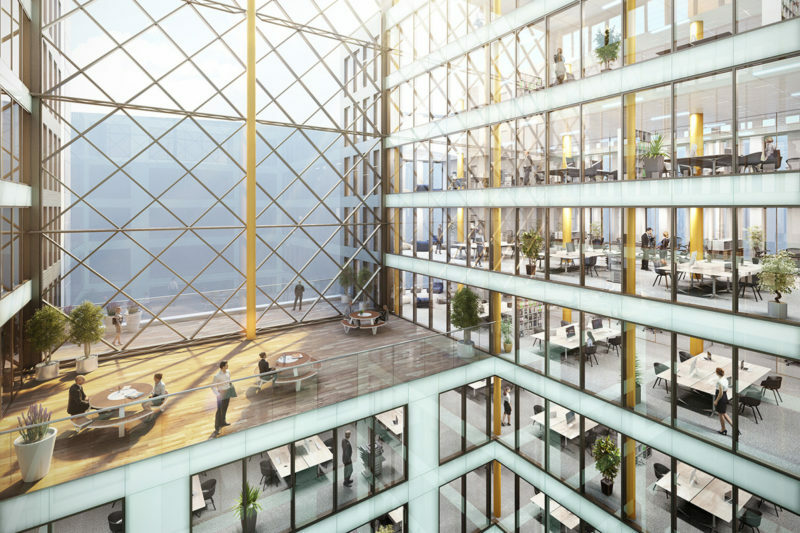 The building is designed to the Belgian “passive 2015” standard. In addition, it will benefit from an “excellent” BREEAM certification. Passive 2015 - BREEAM "Excellent"